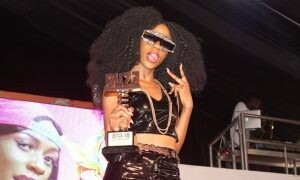 Fresh blood Rachael Mirembe known by her stage name Recho Rey stunned many established rappers like MC Yallah and Facie to win the Female Rapper of the Year award at the #MTNHIPHOPAWARDS2019 on Friday 8th February. 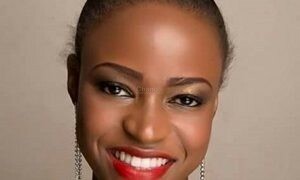 She had also won the Rookie of the Year award merging victorious against all odds as she had to tussle it out with boys in this particular category. 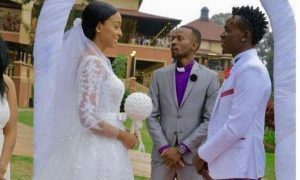 Recho Rey just came on to the music scene recently after participating in the Who is who rap challenge initiated by another word smith Feffe Bussi who coincidentally walked away with the Male Rapper of the Year award. 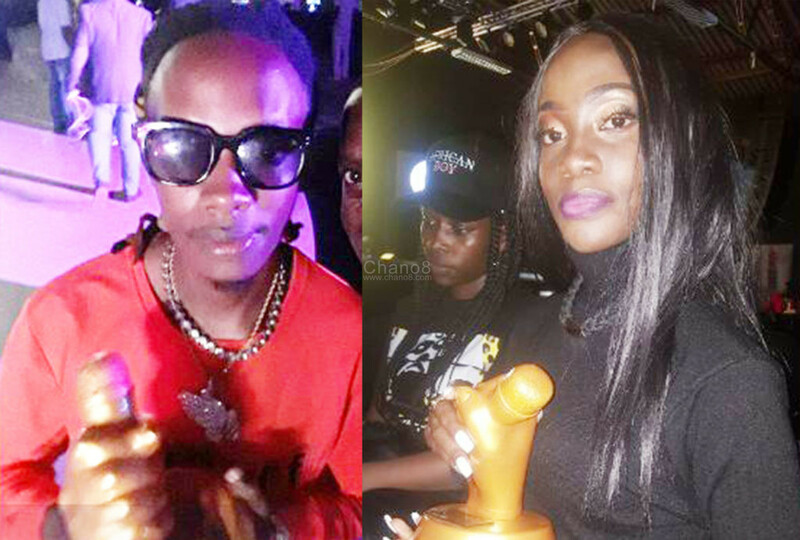 Feffe Bussi and Recho Rey were the biggest winners on the night at the MTN Hiphop Awards. The surprise winner on the day was Gravitty Omutujju whose win as Best Rapper from Central did not only raise eyebrows, but was loudly booed when his name was read out. 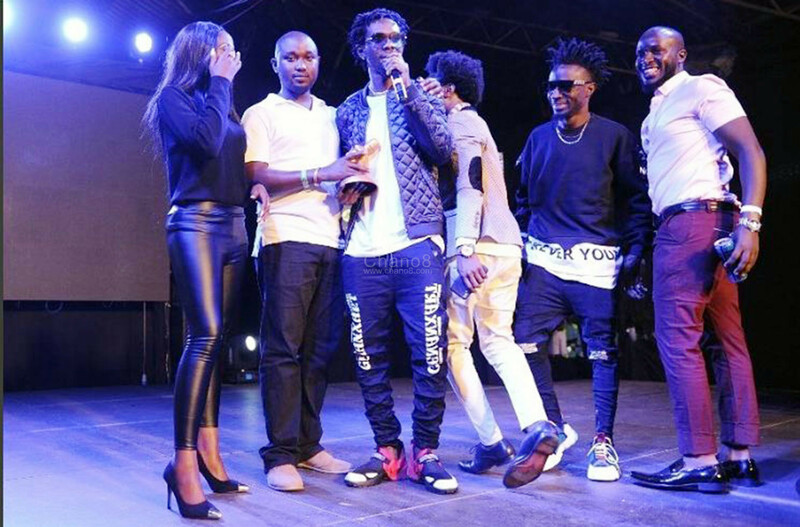 The Lugaflo rapper looked the odd man out in the category that also had JK Lubanto, Fefe Bussi, Jim Nola MC and Recho Rey nominated and the crowd seems unimpressed with his win. Luckily for him, he was not in attendance to receive his trophy personally. Recho Rey also put up a flawless performance to cap a remarkable night. 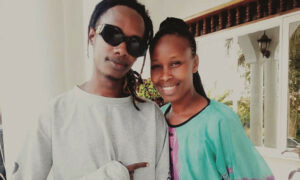 In an era where hiphop is fast growing and being widely recognized, it was only befitting to award Dawoo a sound engineer and record producer The Lifetime Achievement Award which also gave him an opportunity to witness the level of growth the genre in which he massively contributed is at now. 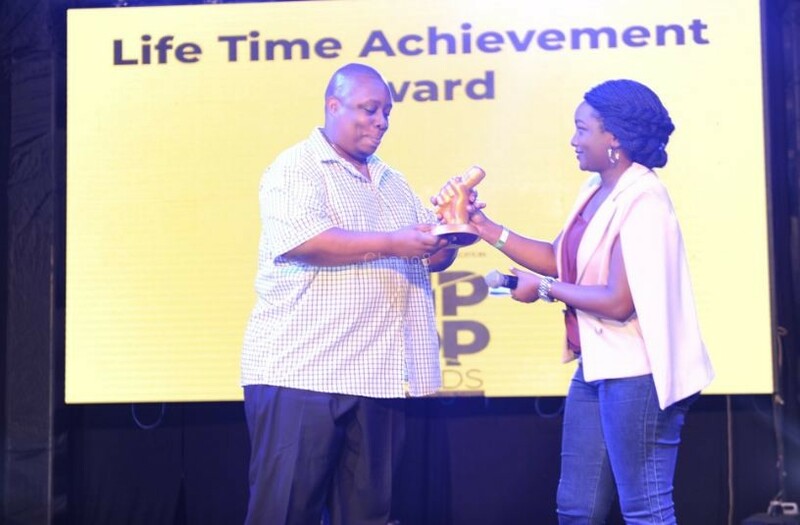 MTN’s Sheilla Najjita presents the Lifetime Achievement Award to Dawoo for his contribution to Hiphop. 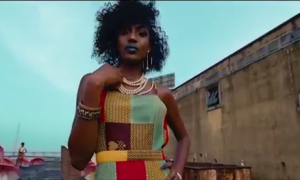 Other notable awards include, Song of the year award which went to Flex D’Paper, Lyricist Of The Year is St.Nellysade and Album of the Year Omungi Attibwa by Mun*G while special mention goes to Navio whose collaborations won him two awards. 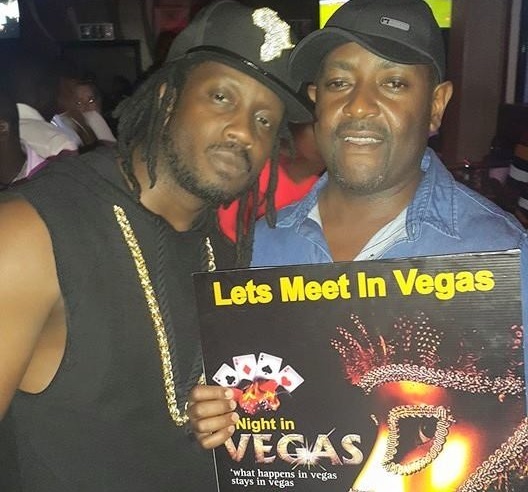 The colorful event which was organized by Talent Africa and sponsored by MTN Uganda, took place at the MTN Head Quarters on Jinja Road where Pulsers and other MTN clients enjoyed free drinks from Smirnoff, PC games, virtual experiences and pizza. 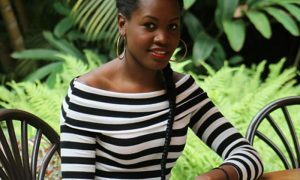 Miss Deedan and Timothy Code while Kenyan rapper Rabbit King aka King Kaka was guest entertainer. 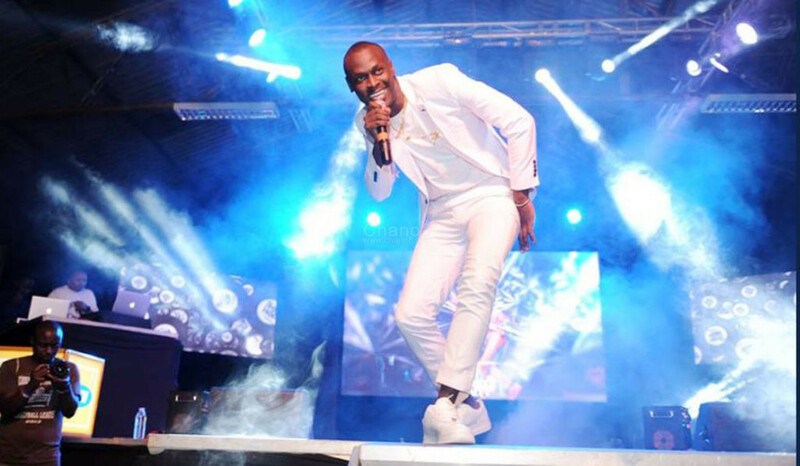 Kenyan rapper Rabbit King aka King Kaka was guest entertainer. 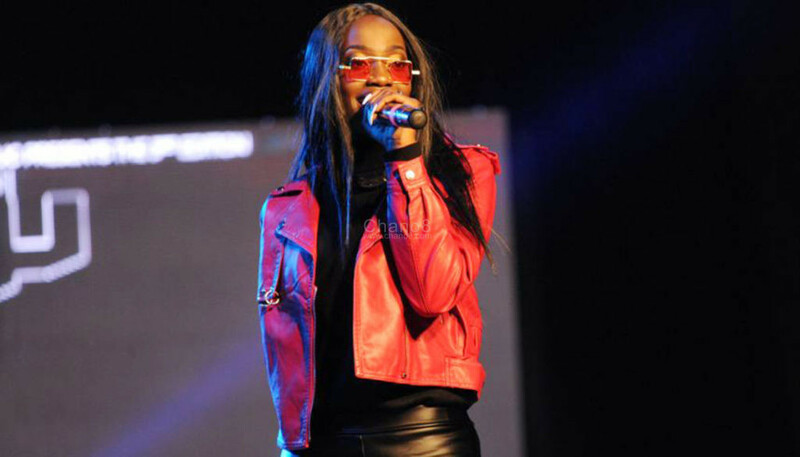 Other performances on the night came from Amani Amaniga, Recho Rey, MC Yallah and The Mith among others, before event closed at half past eleven.